As much as I love carrying a big bag that can carry everything and anything my heart desires, it is sometimes better or necessary to travel lightly. 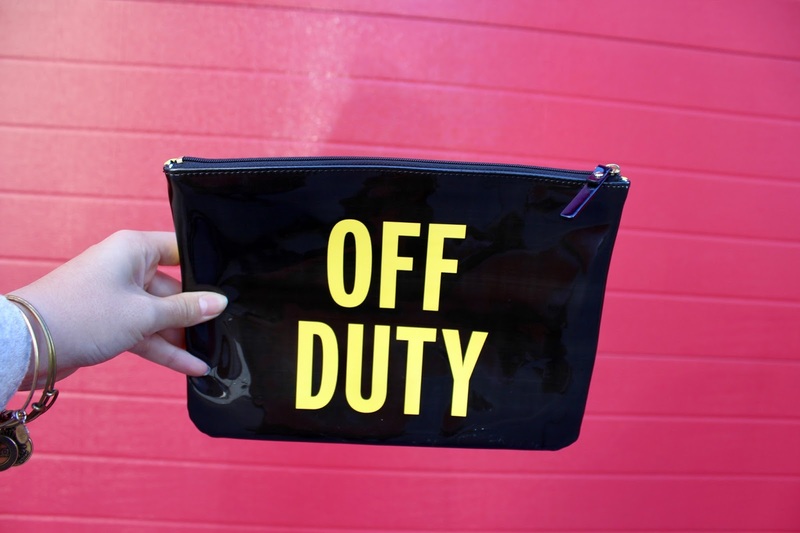 When going out for dinner or drinks with friends, it is best to just grab a clutch that can just carry your keys, wallet, phone, and lipstick (the essentials). 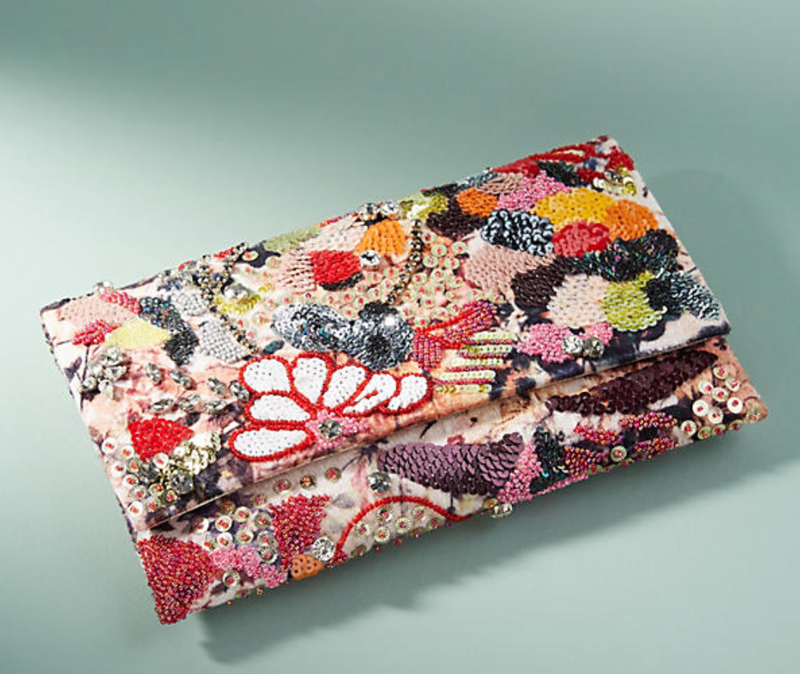 Although clutches are smaller than your average handbag, they are great way to add color and personality into your outfit. In this post I am going to show you a few of my favorite clutches, along with ones that I have been loving and want to add to my collection! 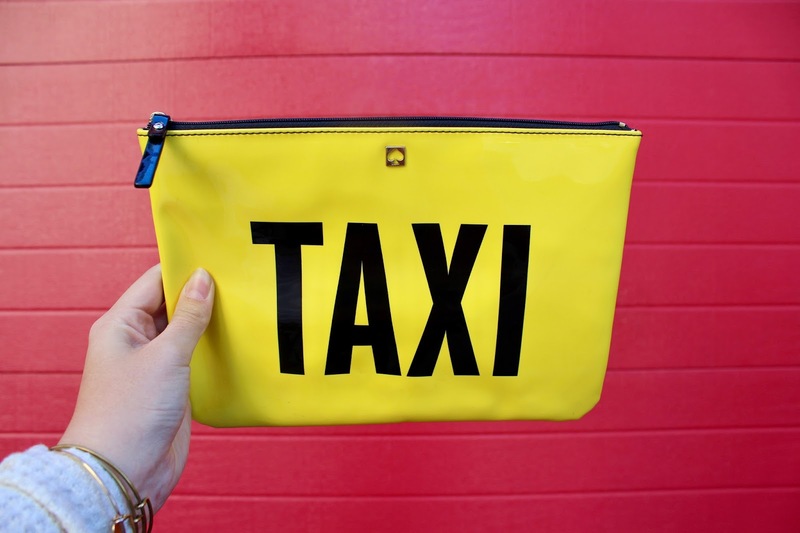 I love my bright yellow Kate Spade Taxi clutch! It is such a fun accessory and I love how it has two different colors on each side. Perfect for a night out in the city. 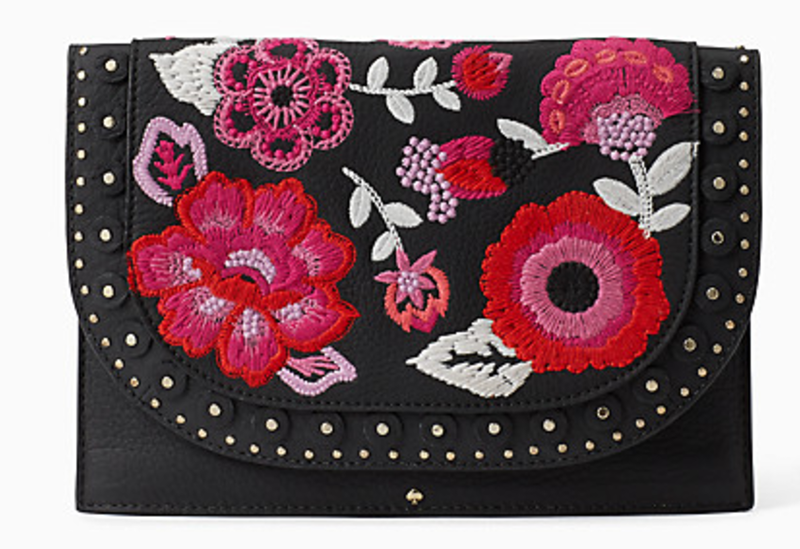 I recently got this rose clutch from Anthropologie, and I cannot stop carrying it! It also comes with a chain crossbody strap so you can hang it off the back of your chair so you don’t get the velvet dirty. 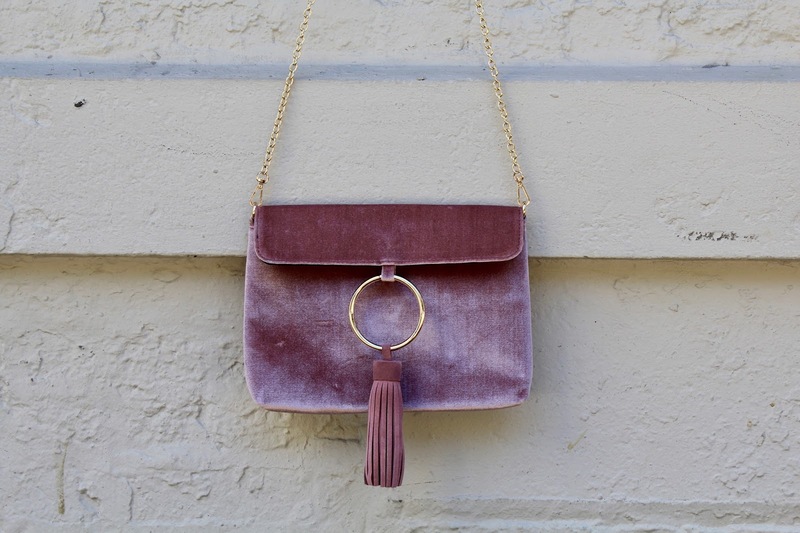 Tassels, velvet, and Chloé’s Faye bags are super popular this year, and his clutch is an incorporation of all of those trends rolled into one beautiful bag. 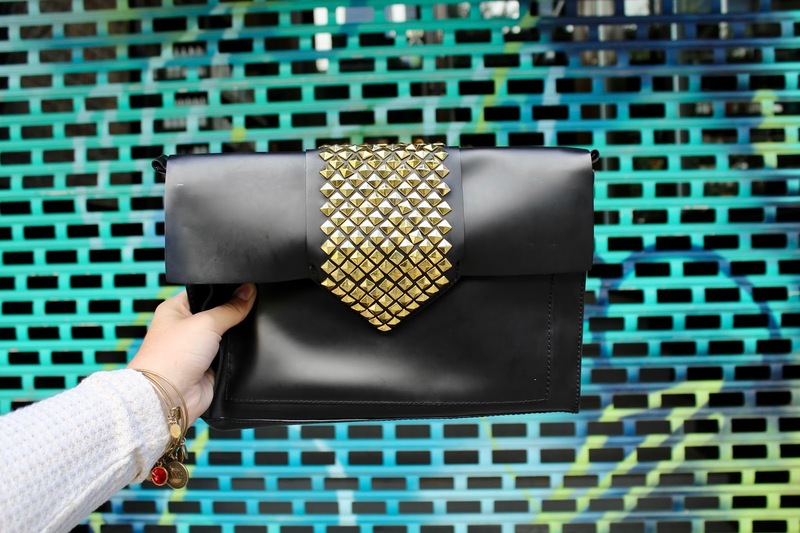 This studded clutch is from Steve Madden. Everyone may not be a fan of studs, but I think it is a great nighttime clutch. It is fairly big, and can even fit a larger wallet or even an iPad. It’s also made out of rubber material, so you if you spill anything on it, it can easily be cleaned. It also came with a crossbody strap. Here are a few of my favorite bags for sale right now! Which clutch is your favorite? Comment which your favorite or that you have been keeping your eye on!